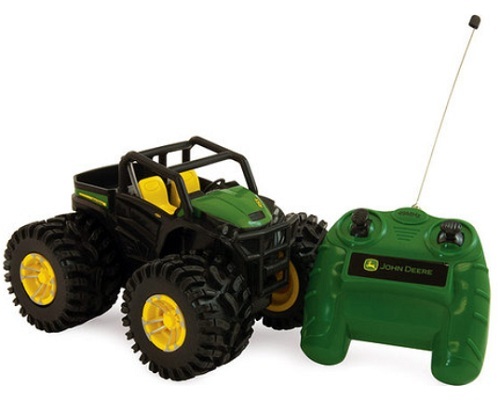 Monster Treads John Deere RSX Radio Control R/C Gator has full function action & Monster Tread styling. Full function radio control requires one 9 Volt and four AAA batteries (not included). Dimensions: 6.5" L x 5.25" W x 4"